Hello there! As is the case every time this day comes around on the calendar, June 14th is the day we celebrate the birth of bourbon, that sweet Kentucky nectar the legends tell was first produced back in 1789. How should you commemorate this important occasion? I suggest “with bourbon.” Here are two classic recipes I have designed to highlight this most perfect of liquids. You may remember them from earlier celebrations, but if you were actually celebrating properly you probably do not, so what the heck, let’s give them another shot. 1. Pour ingredients into glass. 2. Pour bourbon over ice. And there you have it. These are the two perfect ways to enjoy bourbon. 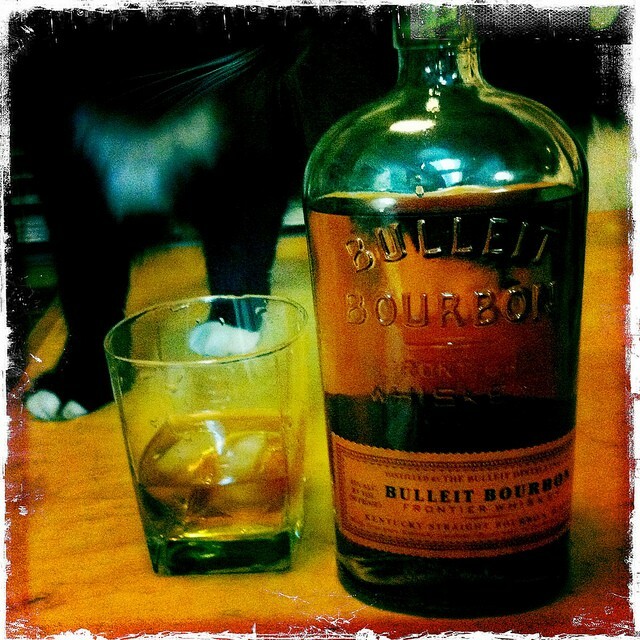 Happy Bourbon Day, everyone. Celebrate responsibly, or at least have a responsible friend supervise your celebration.